FEGLI is an acronym for Federal Group Life Insurance. The program is a type of contract referred to as a group term plan policy, where you are covered for a predetermined amount as long as you are still an employee and you pay the premium. Once someone is eligible for the program, there are no further limitations on participation. For example, they are not required to take a medical exam. This makes it favorable especially for those with pre­existing health conditions. Any increases in the insurance amounts are only made at specific times. This can either be at the initial enrollment, when children are born, after marriage or during open enrollment periods which rarely happen. On the other hand, decreasing the amount of insurance can be done at any time. Federal employees are enrolled into the Basic plan program automatically, though they can opt out of it if they like. The Basic Plan covers your salary rounded up to the nearest $1000 plus $2000. This amount is partially supplemented by the government. For those working in the postal services, their basic insurance is completely taken care of by the USPS. Those under the age of 33 get double the Basic insurance death benefit at no extra cost. This amount, however, gradually reduces until the age of 45 where it is completely eliminated. With this option, you are expected to pay a higher premium of $1.035 for every $1000. After you get to age 65, the premium drops to $0.71 for every $1000 every month. The value of your insurance drops monthly by 1% until it reaches 50%. This is the most expensive option compared to the others. No reduction means that you maintain the same insurance value youhad before retirement. Under this, you are required to pay $2.455 for every $ 1000 monthly until you get to the age of 65. After 65 the premium drops to $2.13 for every $1000. The basic insurance plan has several options for you to choose from. This option allows you to add $10,000 to the insurance amount. This option provides coverage for your spouse and children for the amounts $5,000 and $2,500 (or up to 5 times their multiples) respectively. You must have enrolled in FEGLI for a period of at least 5years for you to be able to carry the insurance coverage into retirement. If you do not meet this set requirement, you unfortunately cannot continue coverage. The FEGLI Premium can increase by 2000% as you get older. FEGLI premiums can increase to 20 times more the initial amount through your employment life. With FEGLI, the premiums go up every 5 years in what is referred to as the age bands. Life insurance premiums that increase as you age are not a wise option to pursue. It’s advisable that when you are shopping for life insurance, that you look for those offering a level premium policy. This means that the premiums you pay are going to remain constant. 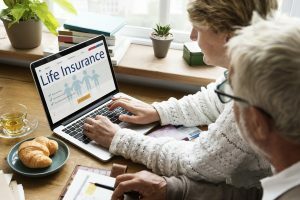 The reason why FEGLI coverage is so expensive is because it is group life insurance that assumes that all its members have the same health conditions. So everyone pays the same amount for their life insurance. Life insurance is a very important investment that guarantees your family financial security no matter what happens to you. You need to make this decision to provide protection for your family early enough and find a life insurance coverage that works best for your needs.